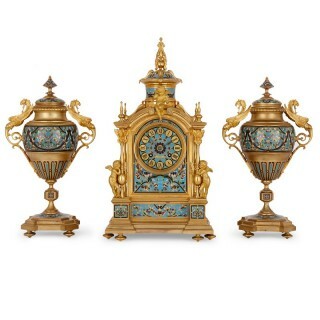 This exceptionally detailed clock set consists of a mantel clock and a pair of accompanying vases, which are all crafted in ormolu and extensively decorated in vibrant cloisonne enamel. 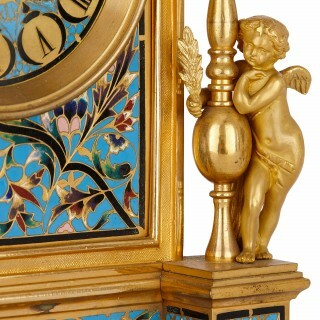 The clock sits on ormolu toupie feet upon which is set the stepped ormolu base. 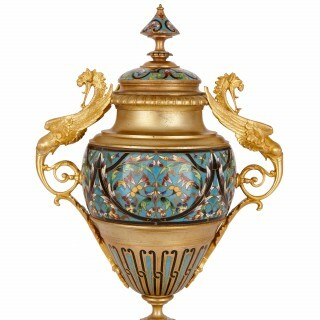 Above this runs a lower frieze of cloisonne enamel panels which are decorated with flowers on a turquoise ground. 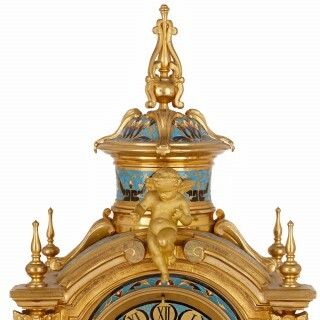 The clock case sits atop the frieze, and takes rectangular form with a curved pediment. 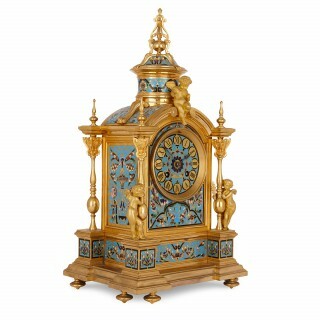 The clock case is inlaid on all sides with cloisonne enamel panels, and the circular clock face is set to the front centre, encircled in a band of ormolu and featuring black Roman numerals on circles of gilt ground. 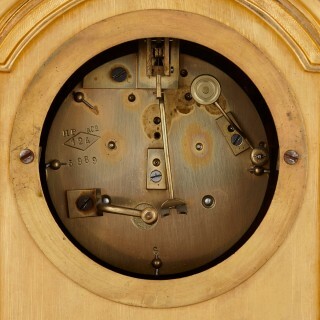 The clock face is signed ‘Riddel / Belfast’ – the name of the retailer. 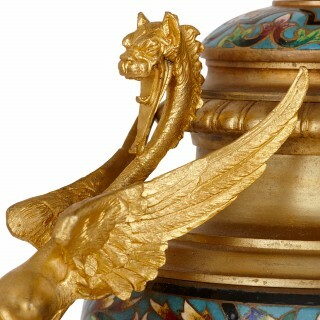 To either side of the front enamel panel, winged ormolu cherubic figures lean against decorative columns, and a third cherub sits atop the curved pediment. 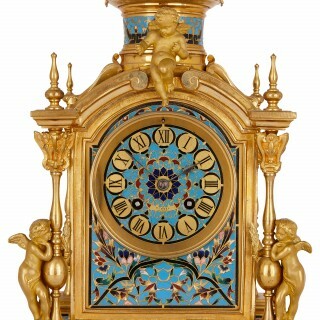 The clock is surmounted by a cylindrical ormolu and enamel turret, and topped with a scrolled ormolu finial. 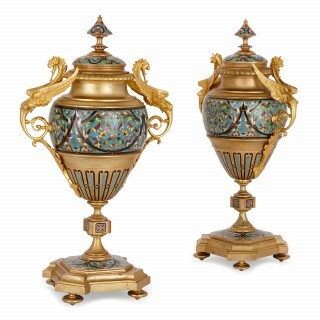 The pair of flanking vases are similarly decorated in ormolu and cloisonne enamel, and feature ovoid form bodies with twin winged dragon-form ormolu handles.